AMP Research Powerstep XL Running Boards offer a 3" lower stepping surface than the original PowerStep and makes accessing your lifted vehicle easier with up to a 15" total drop. 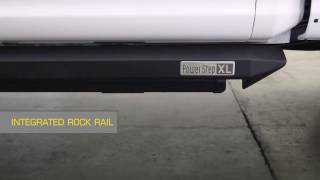 PowerStep XL running boards tuck under the truck when they aren't in use, and come with rock rails that conceal them with style. 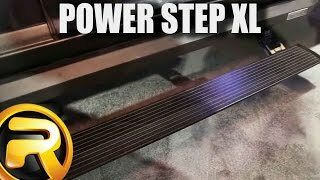 Extreme Weather Tested - The Powerstep XL has been tested in freezing, covered in ice conditions and in extremely hot conditions. The next time you feel like melting, your running boards won't. Safe and Sound - Built with Anti-Pinch technology, these running boards are made with safety in mind. If the running board feels any resistance when retracting, they will re-lower so the obstruction can be removed. 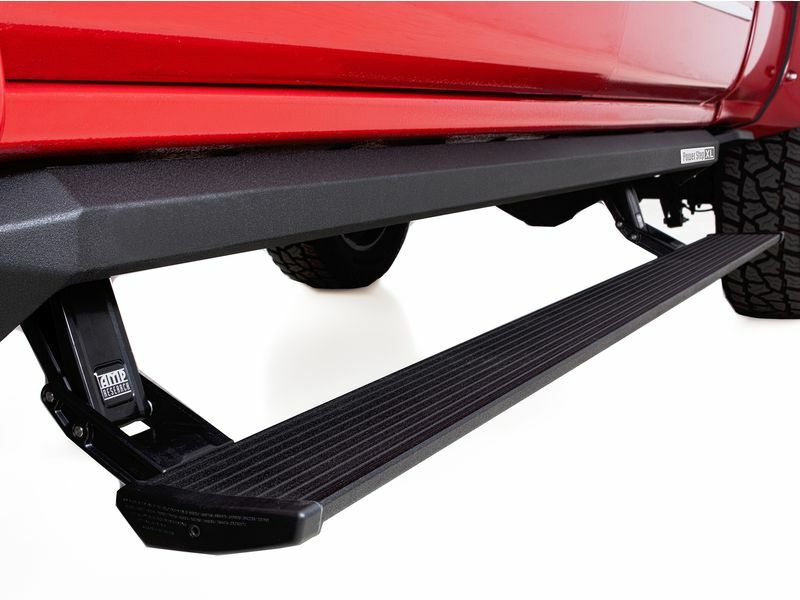 Fast and Strong - The Powerstep XL has a 600 lb load capacity per side, and extends in under a second.